Women, Do You Know Your Sell By Date? According to a recent survey of Human Resources professional women can expect to stop getting any useful career development once they pass the age of 45. Their career progression slows to a grinding halt. What a huge loss that is to the business world and the world in general. And what an insult to wise women everywhere. You possibly won’t be surprised to hear that men continue to get help and professional development in relation to their careers until they are 10 years older. Fifty five years of age in fact. Another example of sexism at work, literally. What can a woman do? Well, hard as it is, don’t take this lying down. Be alert to the possibility that you are getting overlooked and make your voice heard. After all, you’ll be doing your poor old fashioned organisation a huge favour by dragging them into the 21st century! 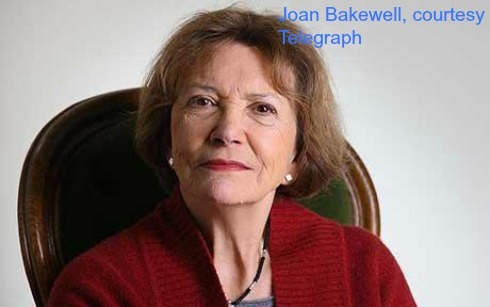 The photo above is of the very excellent TV journalist Joan Bakewell who has had her own issues with femageism at the BBC. RenewYou is my one day course for every woman, regardless of age, designed to help you get the most from life. For more details, please click here.